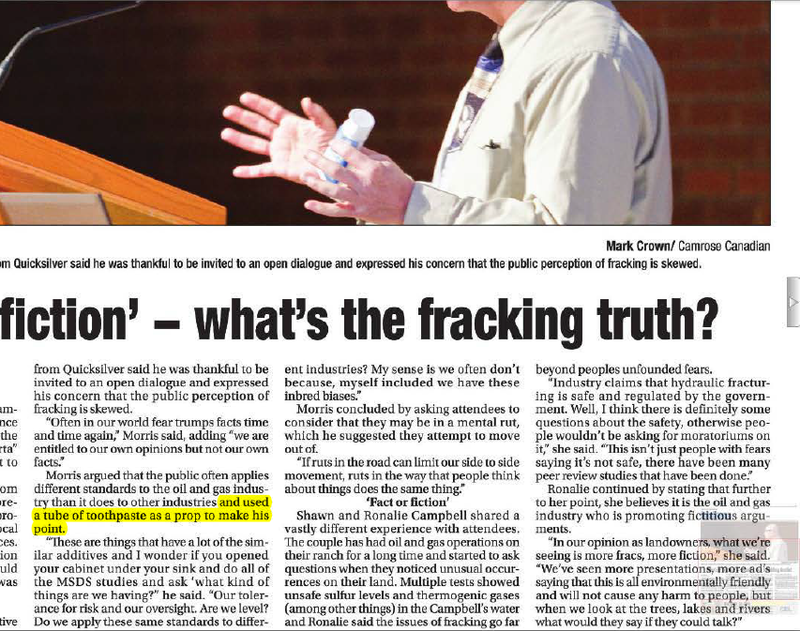 ‘More Facts, Less Friction’ and ‘Fact or fiction’ – what’s the fracking truth? Morris argued…and used a tube of toothpaste as a prop to make his point. 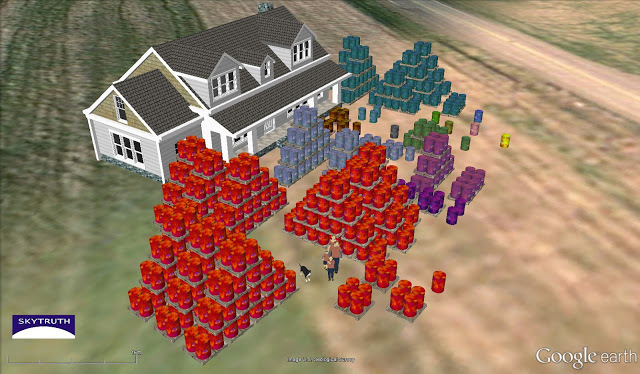 Source: Sky Truth’s Imaginary Frack Family June 8, 2012, showing the 757 barrels of chemicals used to frack the well near their house – including 373 barrels of “mystery” chemicals.